Thanks for joining me today for the August Papertrey Ink Senior DT Challenge. 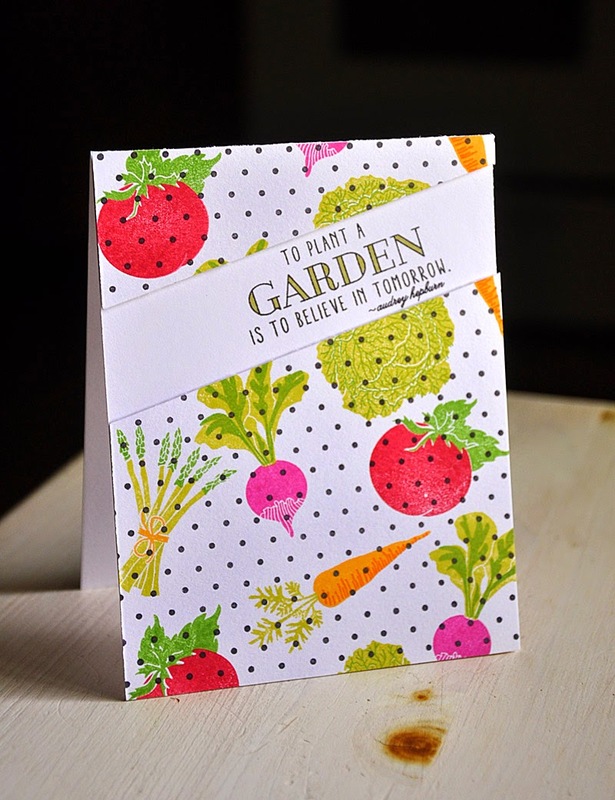 This time around we are bringing back Vegetable Garden! Let me begin with my first inspiration piece, found here. 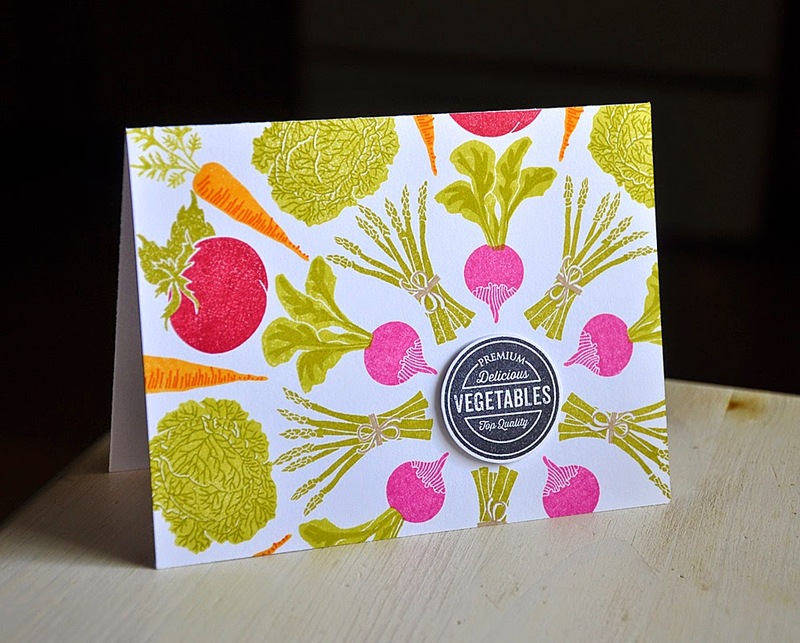 Instead of mixing florals with the polka dot I figured veggies would look just as good. Boy was I right, this hand stamped pattern paper is so cute. 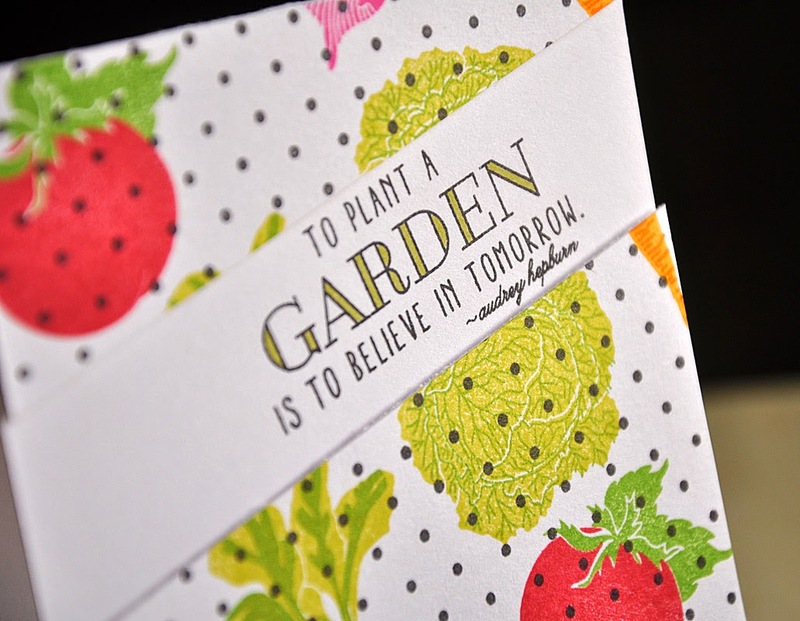 I love it so much that I had a hard time convincing myself to cut it up, but I manged to anyhow and squeezed in a fitting sentiment (from the Garden Grace stamp set). 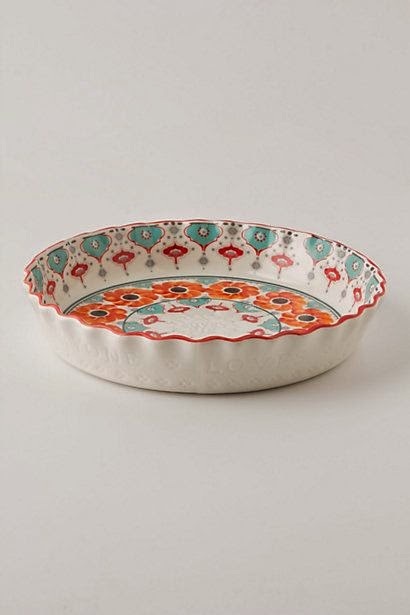 My second inspiration piece (this beautiful Anthropologie pie pan) can be found here. I was inspired to create this super fun and easy circular pattern using these two step veggies. 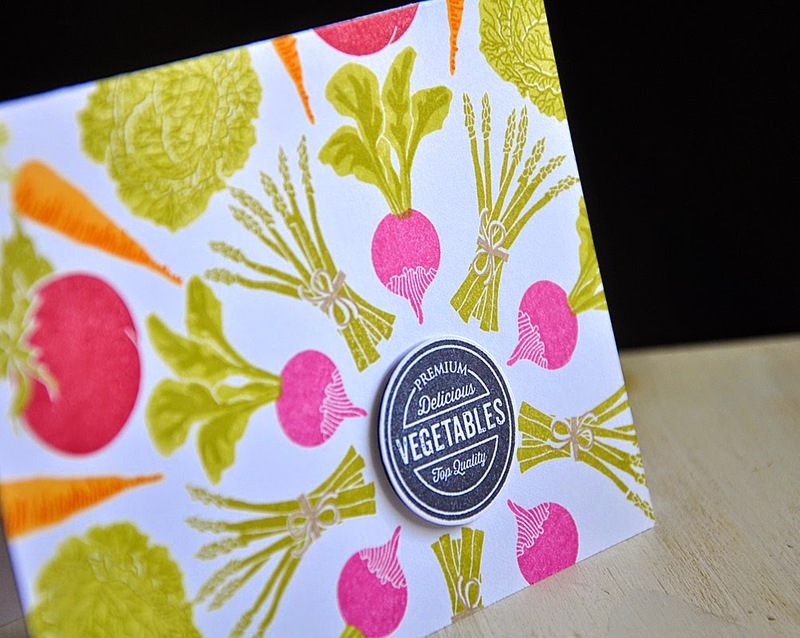 I began by stamping the "vegetable" circle and then stamped my pattern around it. It helps to have a plan by first playing around with the arrangement on scrap paper. Maile, these cards are awesome! That polka dot card is one of the most beautiful I've seen in a long time! 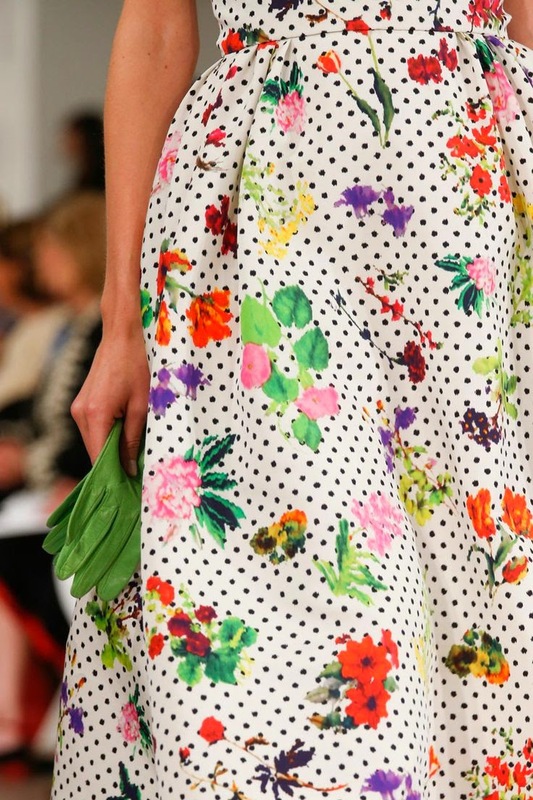 The dress is something I would totally wear and your interpretation of it is spot-on (no pun intended!). :) Thanks for sharing! Beautiful, Maile! Both of them are so inspiring; just love your work. These are soooo CUTE!!! Love! Beautifully done! Love them both! So beautiful, Maile! I love your handstamped pattern paper! What a bright and cheerful card. I really like it. Love these cards, looks so fun and fresh. Great work!